(For release 8/14/17) President Donald Trump will sign a proclamation this Monday, declaring Senior Citizens Day and Week, following the example of Ronald Reagan, who originally declared Senior Citizens Day on August 21, 1988. The Secure America Alliance sent a letter to the White House with this proposal on July 14, suggesting that such a “Senior Citizens Day” could help mark the end of the Obama era “war on seniors” and the start of a new era of respect and appreciation for those who helped build America under President Donald Trump. Secure America Alliance contends that the Obama era policies hurt senior citizens, in contrast with the policies and proposals of President Donald Trump, which give life and hope to seniors. 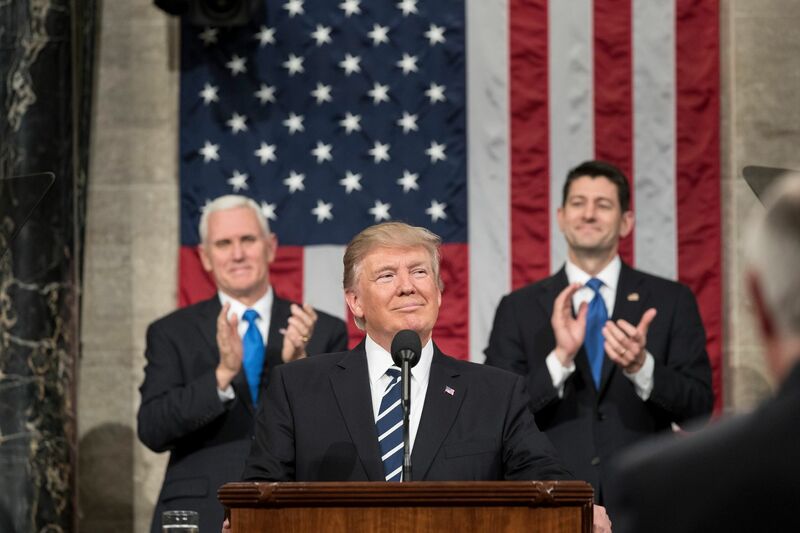 Secure America Alliance Executive Director Ronald Wilcox said in a letter to President Trump, that his recognition of Seniors would be a “restoration of this honor for often forgotten American Senior Citizens. Leaders of Secure America Alliance including its board of directors, and those who support President Trump’s efforts, such as Jim Martin of the 60-Plus organization and Martha Boneta, are awaiting word from the White House for the time of the ceremonial signing and the exact language crafted by the White House and to be signed by the President marking the continuation of the original Reagan era Senior Citizens Day on Monday, August 21, and Senior Citizens Week. A copy of the original draft sent on July 14 and then on Saturday, August 12, provided to Chief of Staff to the President, General John F. Kelly, and Senior Counselor to the President, Steve Bannon, is HERE. Another version of the Senior Citizens Day Proclamation, as personalized and sent to 10,000 supporters of Secure America Alliance, is HERE. The July 14 letter of Secure America Alliance Executive Director Ronald Wilcox proposing “Senior Citizens Day” to be on Monday, August 21, is HERE. The original proclamation of Senior Citizens Day by President Ronald Reagan in 1988 is HERE. All of this information is available for easy download at the website of Secure America Alliance. Secure America Alliance is part of the annual Senior Citizens Day coalition of organizations interested in helping President Donald Trump make America great again, because he gives the best chance of life and hope for America’s senior citizens. Early participants and endorsers of the annual Senior Citizens Day coalition include property rights activist Martha Boneta, Secure America Alliance Executive Director Ronald Wilcox, former Director of Aging in the Mayor Rudy Guiliani cabinet Herbert W. Stupp of New York, 60 Plus President Jim Martin. Additional coalition members will be announced by or before Senior Citizens Day with many of them to be invited to the White House ceremonial signing of the proclamation by President Trump and a followup reception for participants and supporters at a Congressional office afterwards sponsored by Congressman Rob Wittman (R-VA 1st) and other Congressmen to be announced. Those helping to organize support for the Senior Citizens Day at the White House with President Trump include 60 Plus President Jim Martin, property rights activist Martha Boneta and Secure America Alliance Executive Director Ronald Wilcox.